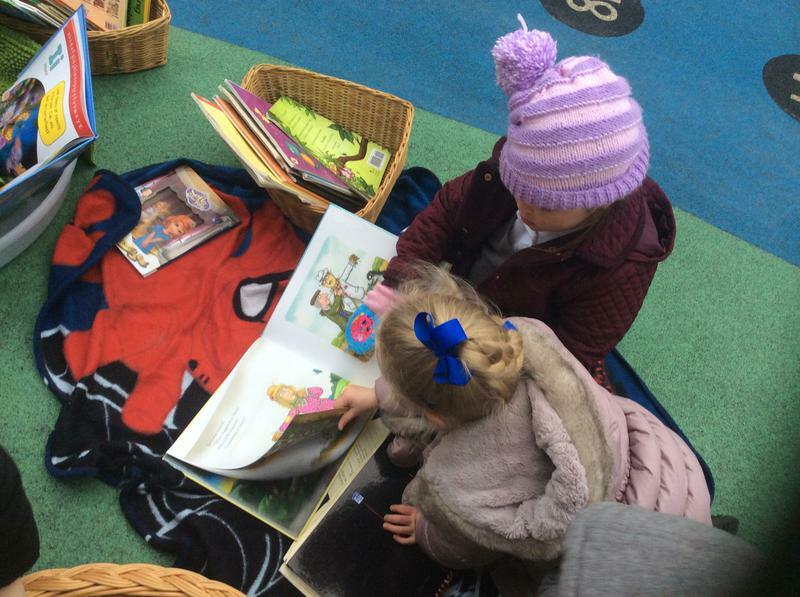 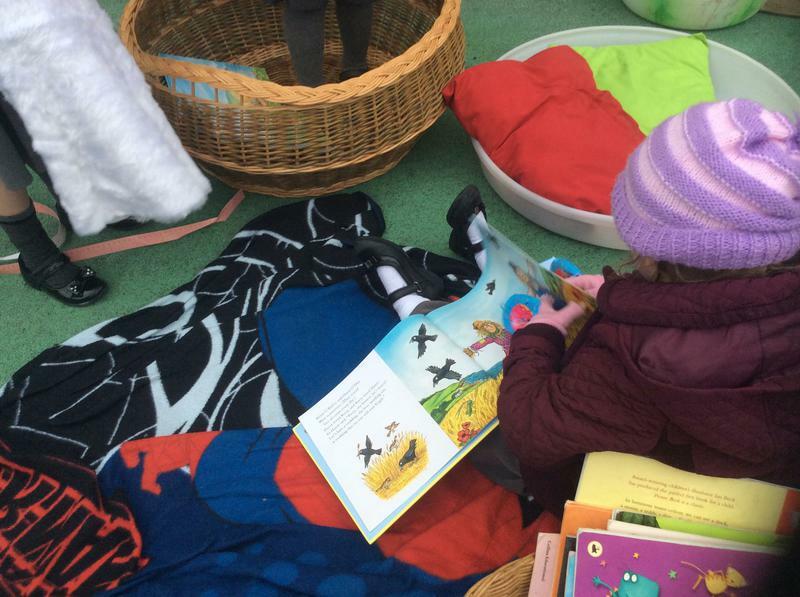 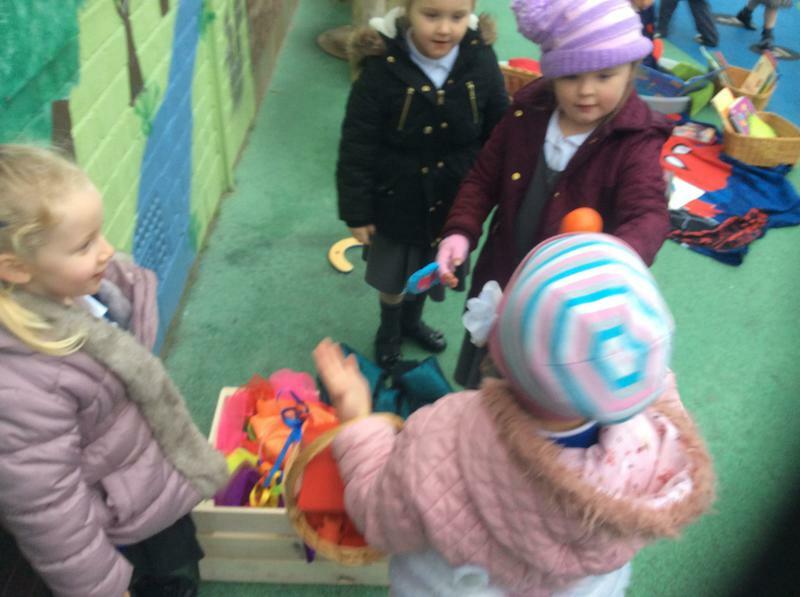 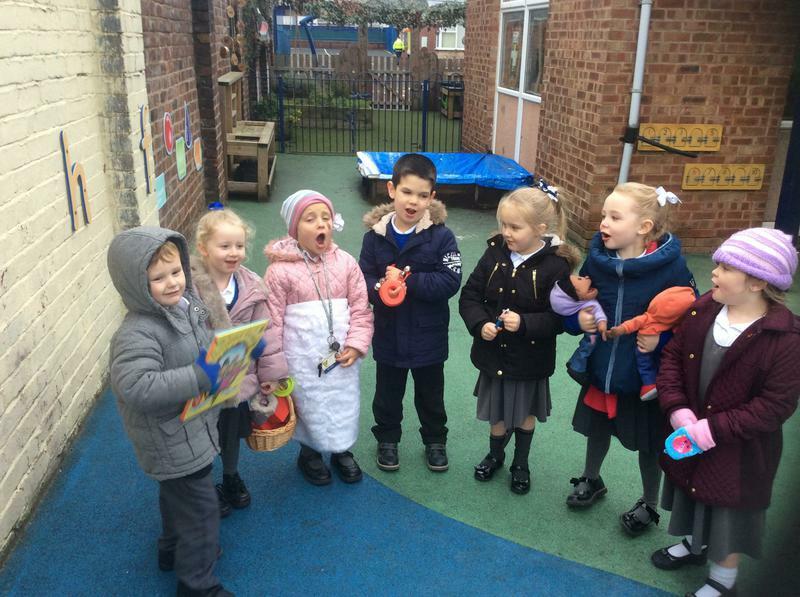 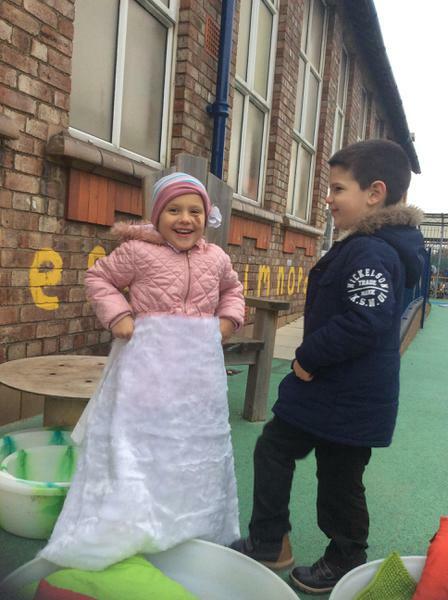 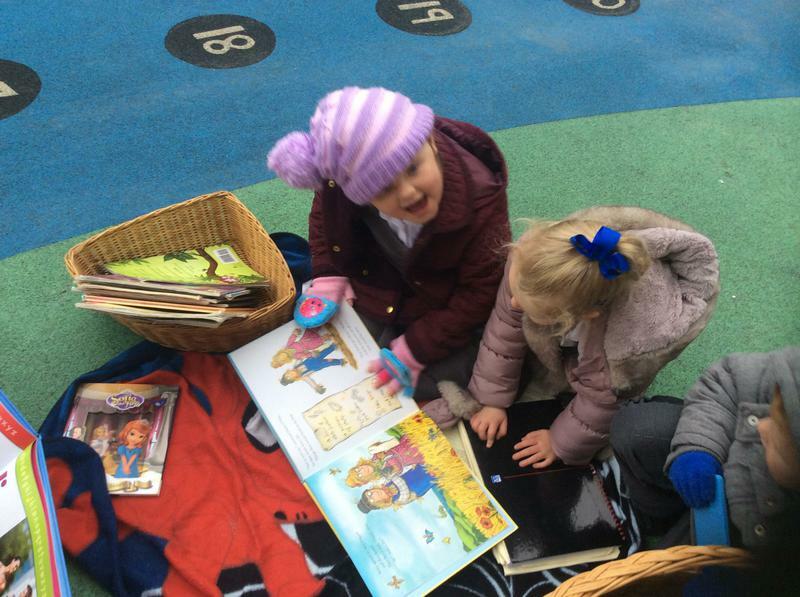 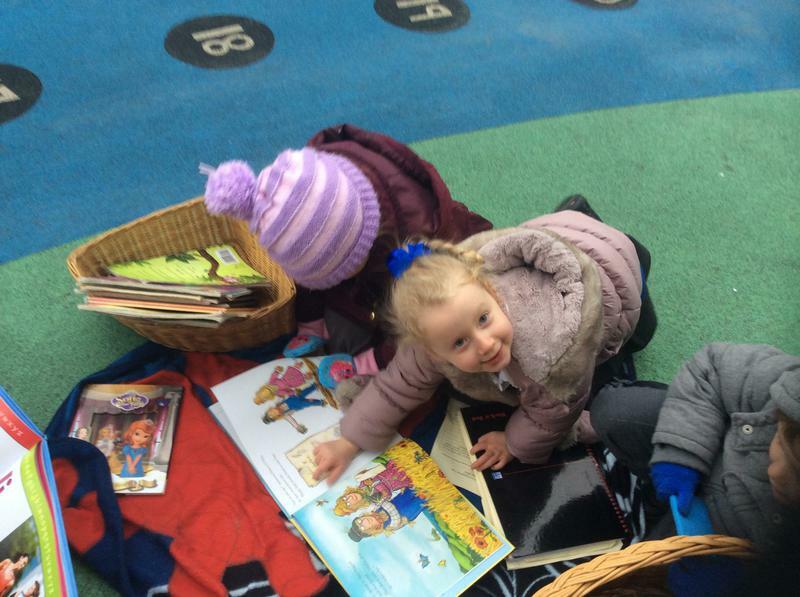 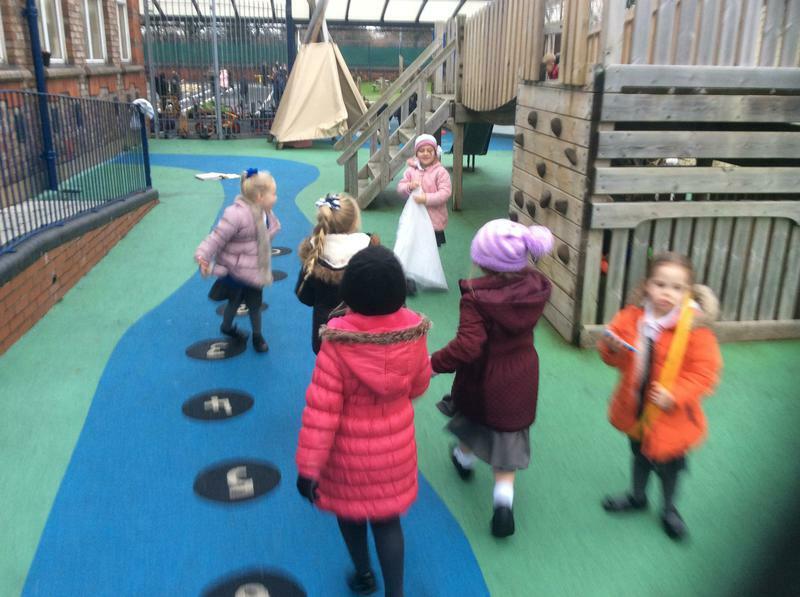 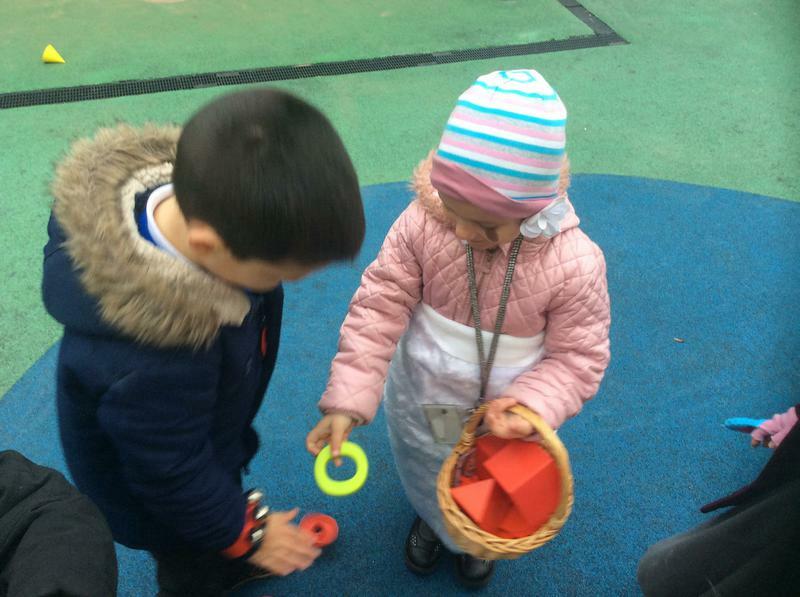 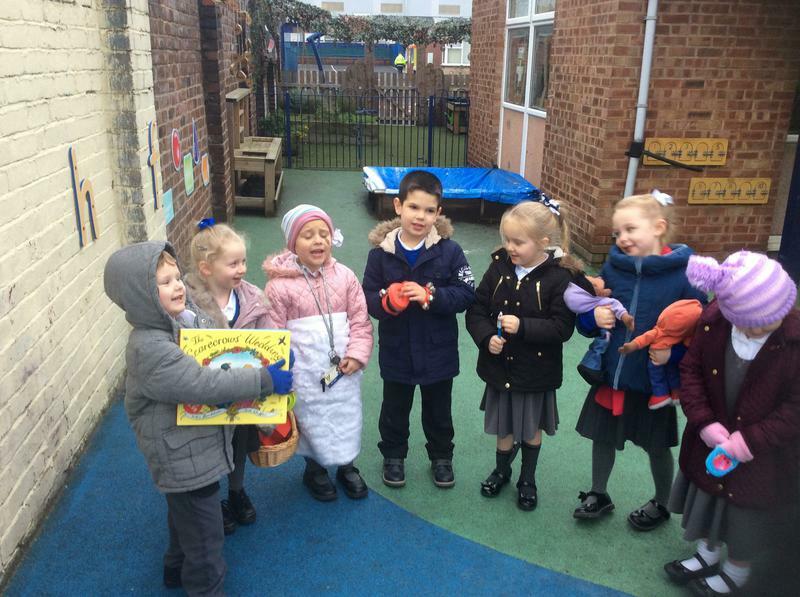 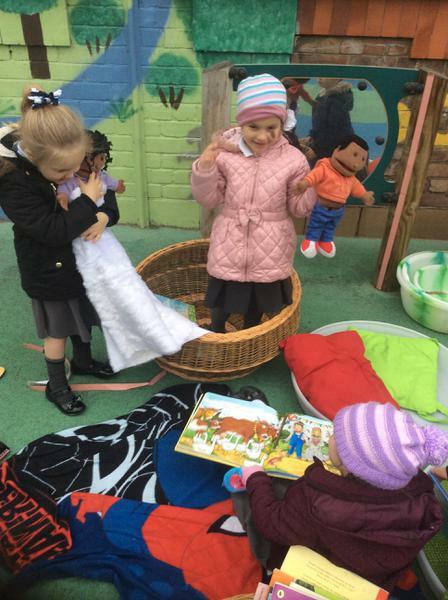 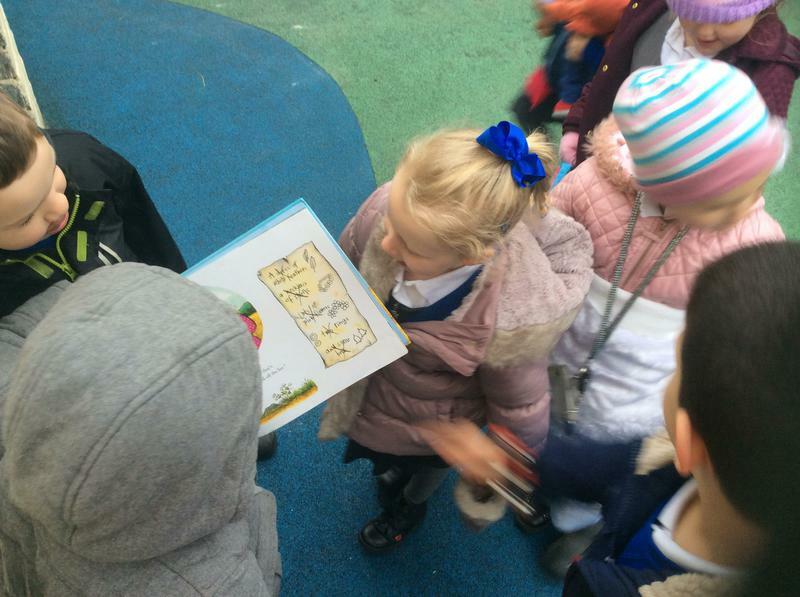 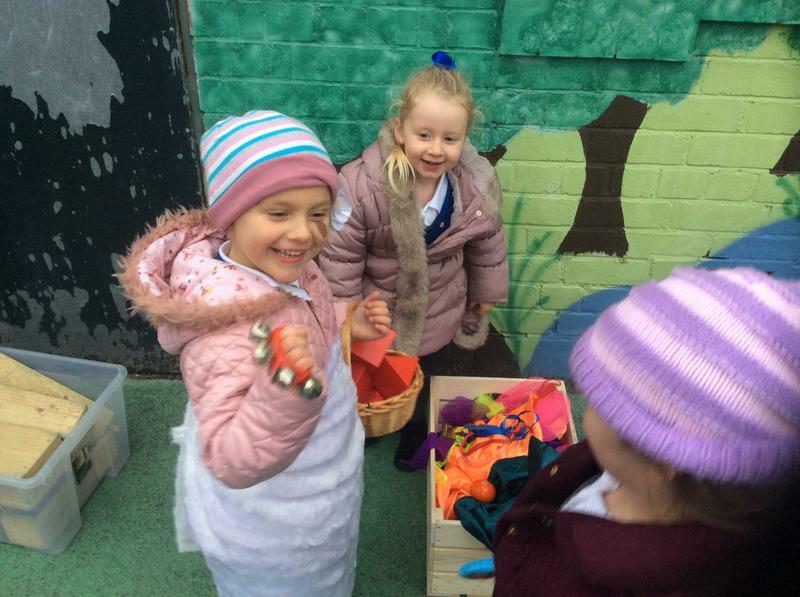 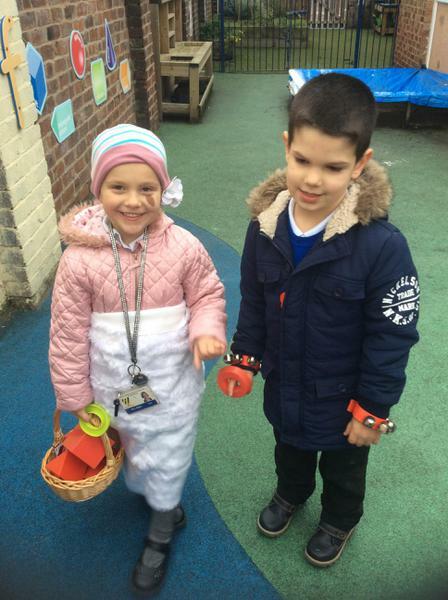 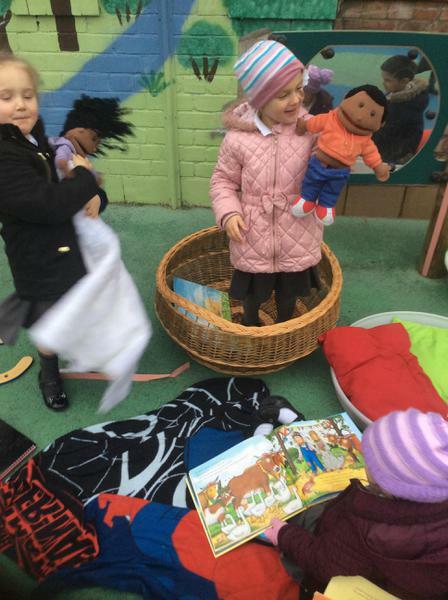 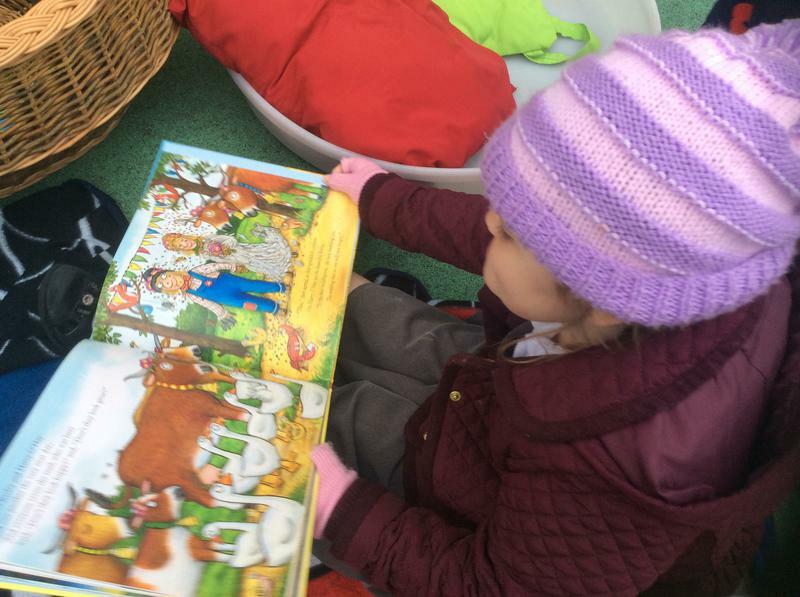 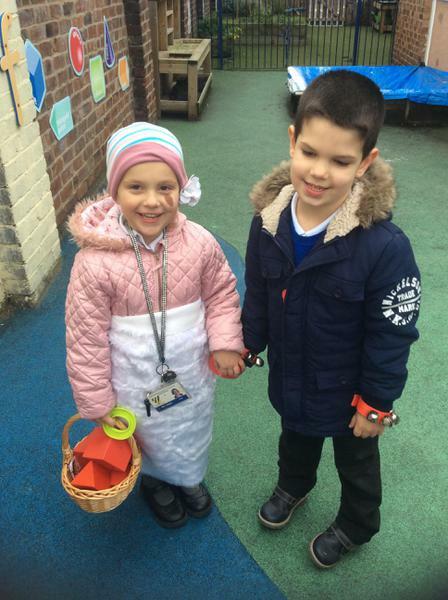 During outdoors provision some of the children decided to find props to act out the story of The Scarecrow's Wedding by Julia Donaldson. 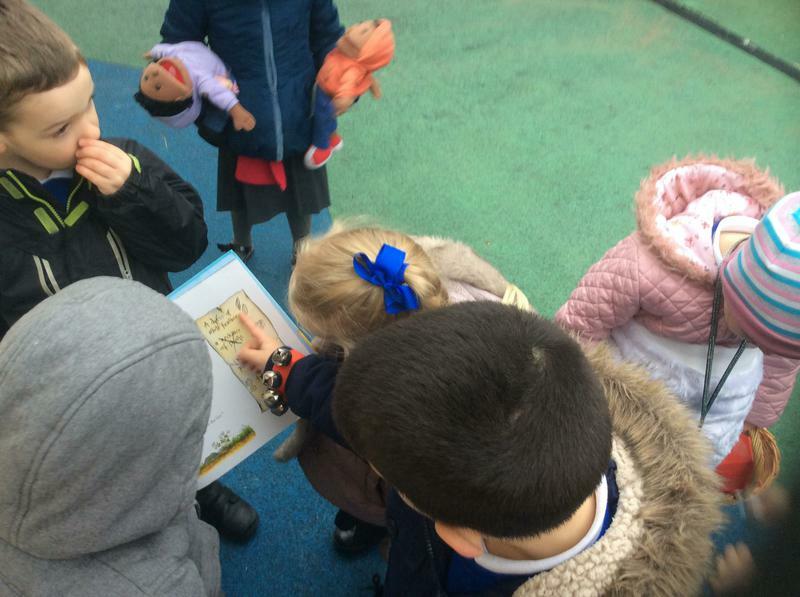 They used the list in the book to check that Betty O'Barley and Harry O'Hay had all the things they needed for their wedding! 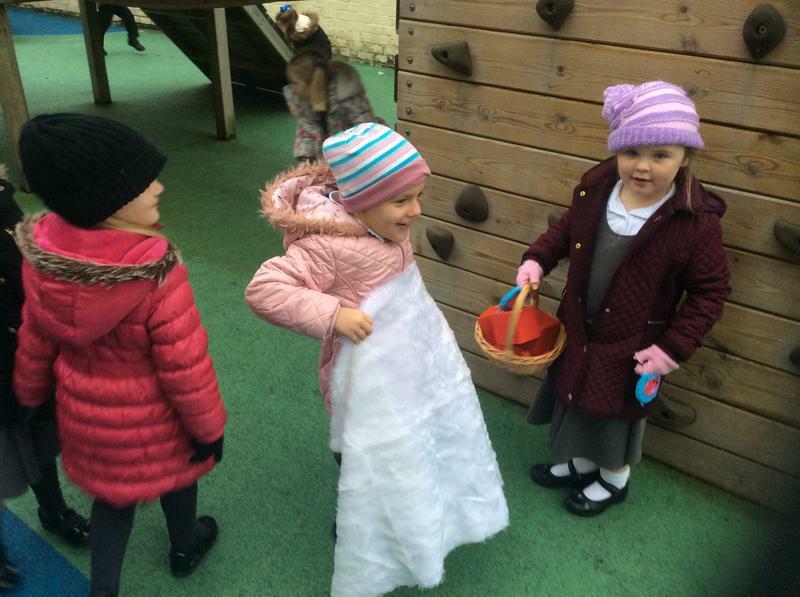 Listen to the story of The Scarecrow's Wedding by Julia Donaldson. 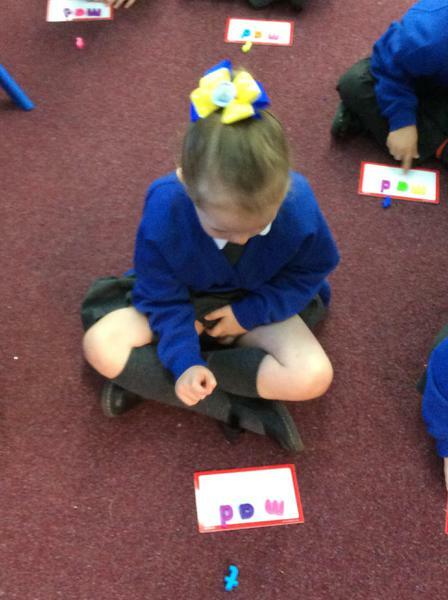 We are working hard to develop our reading skills. 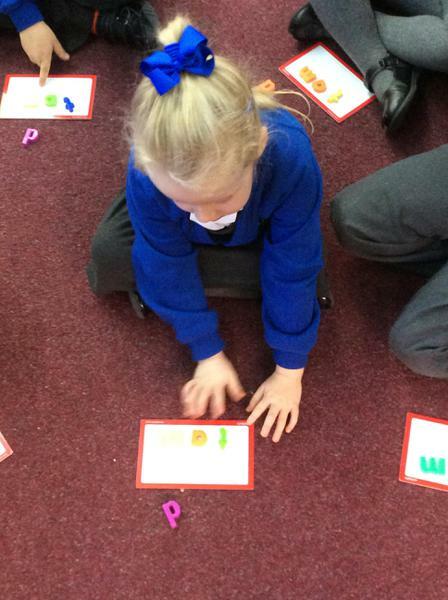 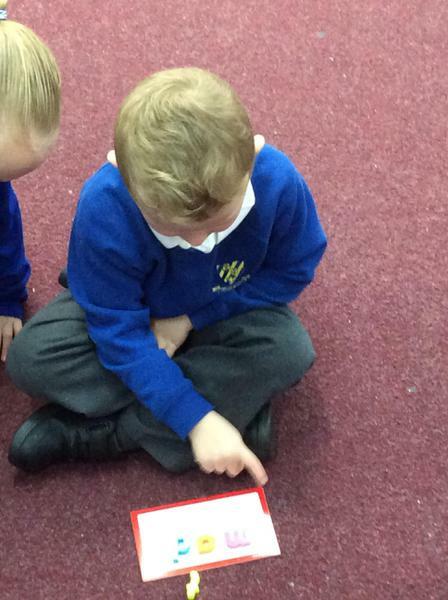 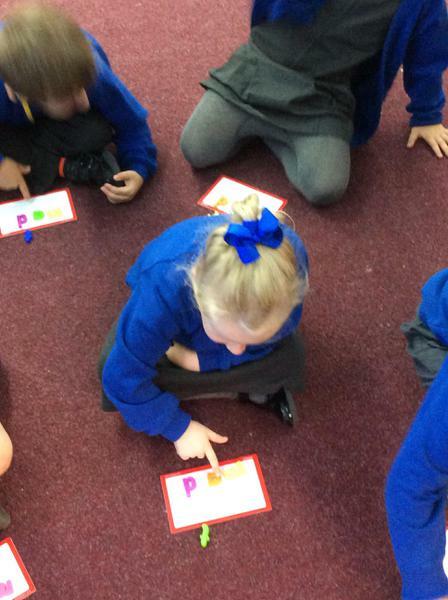 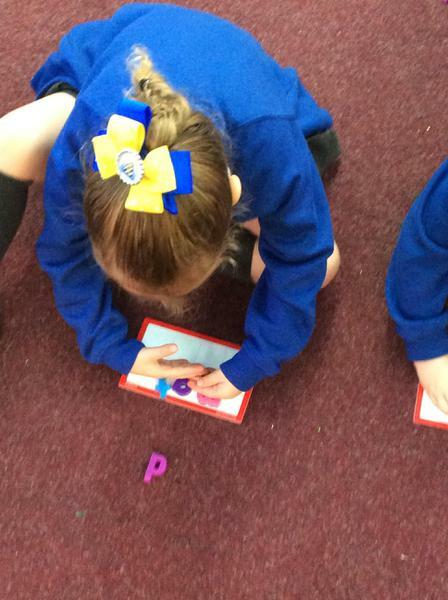 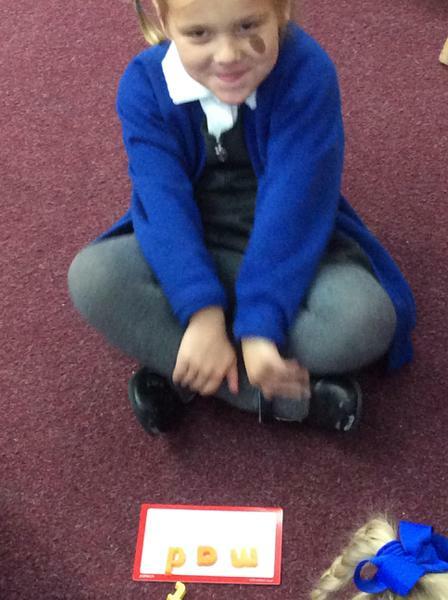 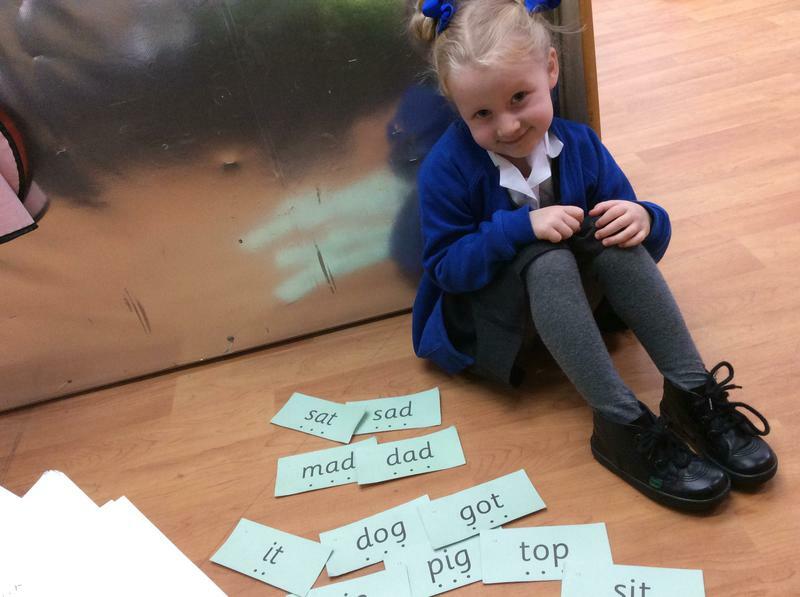 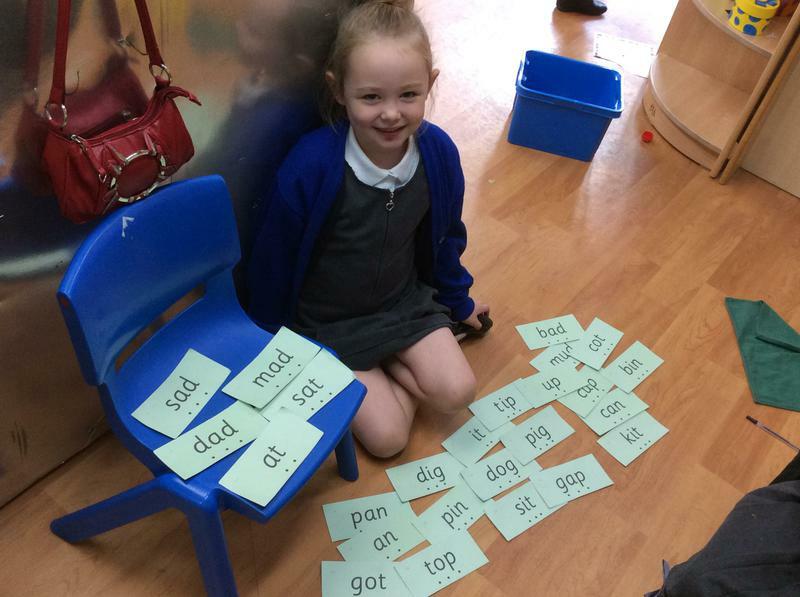 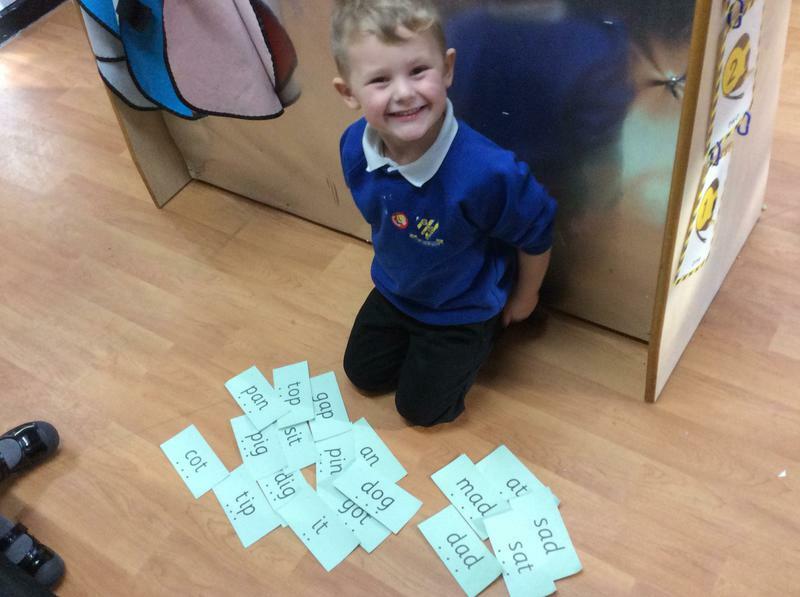 We practise our letter sounds every day in Read Write Ink sessions and during continuous provision. 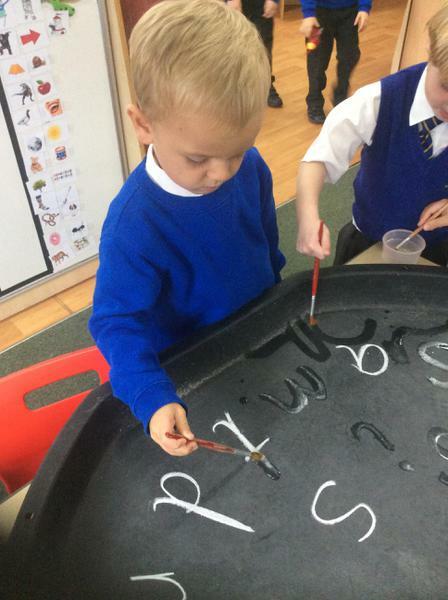 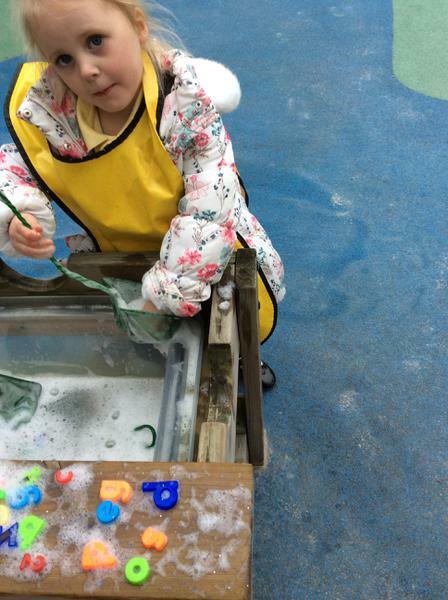 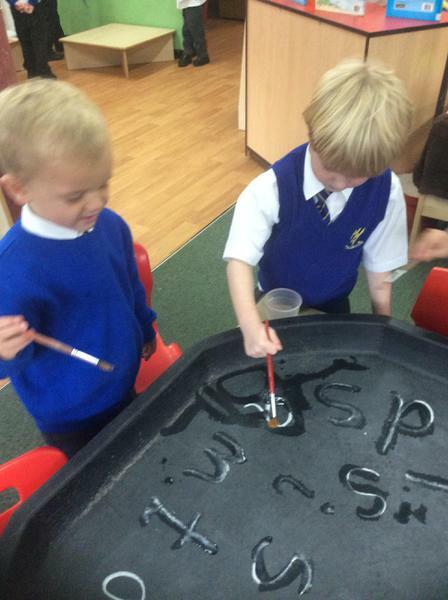 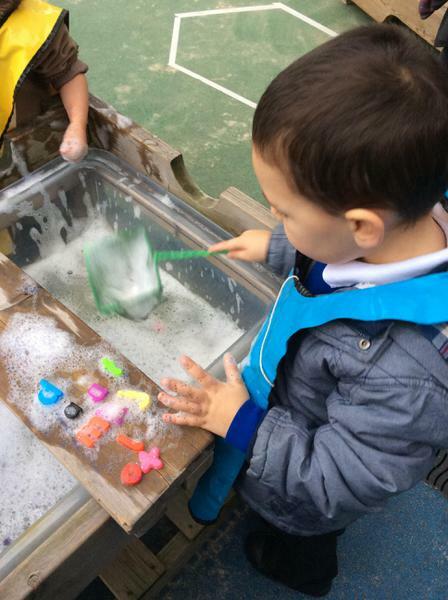 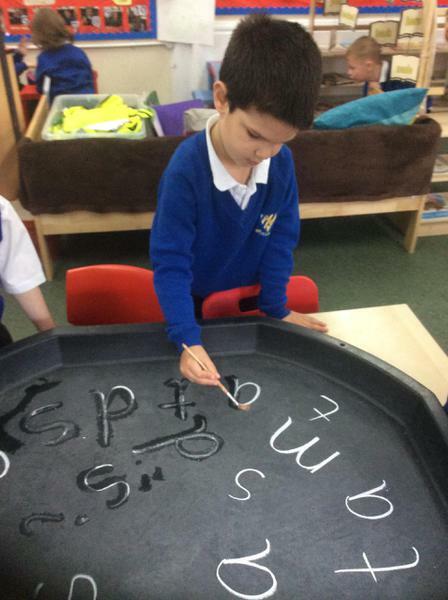 We practised our letter formation by using water to trace over the chalk letters.